Our plastic half steps are built for the outdoors: long-lasting even in cold or heat and will not rust. 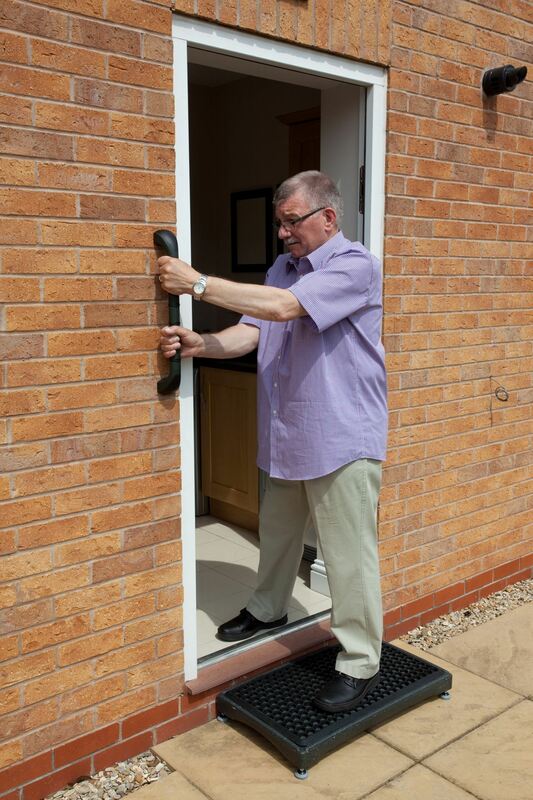 The step has four over-moulded feet which grip firmly against the ground and offer adjustability, so that the step can be made level on uneven ground. 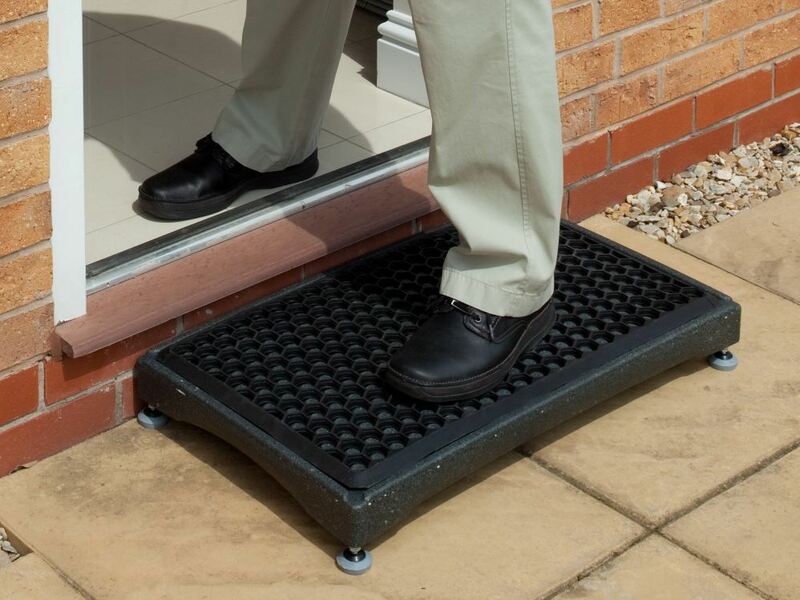 The Derby Half Step features a slip-resist mat has a 4 inch raise.